Short videos on the famous gaucho healer, who would heal with a glass of water and a little faith. A totally made-up “folk saint” whose story can be found here. The trailer for a promising new documentary. A medium possessed by Pancho Villa curing people. Oddly enough, this sort of reminds me of my grandparents (also from the Mexican state of Coahuila) who would drag us to charismatic prayer meetings, where the leader would go into a trance and start speaking in tongues while we were praying the rosary. Not necessarily my cup of tea now, but I don’t see a huge difference between that and what is portrayed above. E. can step in and tell me if he remembers that. Dr. José Tomás de Sousa Martins (1843-1897) was a doctor and pharmacist renowned for his work amongst the poor in Lisbon. After his death, a secular cult has arisen around him in which he is thanked for ‘miraculous’ cures. Born in Alhandra he moved to Lisbon in his youth, and qualified in pharmacy (1864) and medicine (1866). He then practiced as a doctor in the Pena area of Lisbon, specialising in the treatment of tuberculosis. His work was entirely on a secular basis, but he was noted in his life for the care he gave to the poor. In 1897, realising that he has contracted tuberculosis himself and could only expect a painful death, he committed suicide. Yet since the memorial was erected in 1904 at Campo dos Mártires da Pátria outside the main Faculty of Medicine, it has become the focal point for a religious devotion to Dr. Sousa Martins. People who come here believe that by praying to him and asking for his intervention, they will be cured. It was a mild, starry night on August 23 ,1938. An ordinary and rather insignificant-looking man walked up to the doctor’s doorstep. He rang the bell and a maid opened it. He called himself Julio Campos and asked to see the doctor. Thinking that it was a patient, the doctor agreed and invited him into his living room, where he was reading the day’s newspaper. “Campos” opened his jacket, pulled out a gun and shot the doctor three times in different parts of his body. 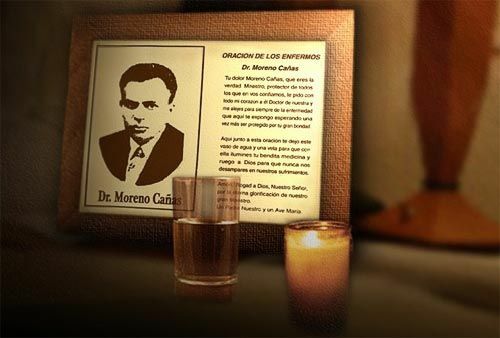 Doctor Ricardo Moreno Canas, one of Costa Rica’s legendary physicians, lay dead at the feet of a paranoid and insane name, whose real name was Beltran Cortes. Having discussed his death, it’s only fair to mention Moreno’s birth and his life. Doctor Ricardo Moreno Canas was born on May 8, 1890 in San Jose, Costa Rica. His mother was Clara Canas and his father Inocente Moreno, was an attorney of Spanish descent. Ricardo was one of eleven children. Young Ricardo attended the Colegio Seminario and the Liceo de Costa Rica, where he obtained his high school degree. After high school, he obtained a scholarship to attend the Gibraltar University in Switzerland, where he received the title of Doctor and Surgeon in 1915. He immediately started working in Swiss hospitals, but with the coming of World War I, he traveled to France in order to work as a surgeon in the Ambulances of the Automobile Club of France. Because of his dedication and extraordinary work during the war, he received several medals in 1918. After the war he served as resident surgeon in Saboy, France until he returned to Costa Rica in June of 1919. Moreno Canas had even more success in his country than in Europe, especially because Costa Rica was a small country; his fame soon spread to the point of transforming him into a living legend. Moreno joined the Faculty of Medicine of Costa Rica in 1919, and by 1925 he had become its President. Furthermore,in 1936 he was named the Chief of Surgery of the San Juan de Dios Hospital. Among his many achievements, there was one that contributed largely to his mythification. In 1934 the son of a neighbor was shot in a fight with a jealous husband. Moreno Canas extracted a bullet from his heart, and the patient was up and about only a month and a half later. His fame spread like wildfire, especially because apart from being succesful, this had been the first open-heart operation in the country. Needless to say, this achievement earned him another medal, this time from the Faculty of Medicine. This amazing surgeon, who often battled with the lack of proper equipment and funds of Costa Rican hospitals, decided to enter the political realm in the thirties. He was elected Diputado (Congressman) from 1932-1936 and from 1936-1940. He could have been President according to many, but he was assassinated by Beltran Cortes on August 23, 1938. Cortes didn’t only kill a man’s political aspirations- he killed the country’s most outstanding surgeon, whose sense of social welfare made him a generous man that often didn’t charge for his services. Cortes killed a man full of life, who enjoyed the arts such as painting and music, who took delight in fishing and hunting. Cortes killed a good man and the worst thing was that Cortes himself didn’t even know why he did it. Even though Dr. Ricardo Moreno Canas passed away in 1938, he’s still remembered by everyone. His myth goes on to the point that vendors outside of some hospitals sell cards that have his picture next to an angel’s and a prayer! Moreno Canas is clearly more than a man or a doctor to Costa Ricans. Cortes killed the man but he couldn’t terminate the legend. Of late I have slowed down my investigations into “folk Catholicism”. My conclusion is gradually becoming one of not seeing much difference between these unapproved practices and “official” ones. The roots of both are usually the same, and their flavors are remarkably similar. And for many people, they can exist side by side without much anxiety as to how they “fit together”. 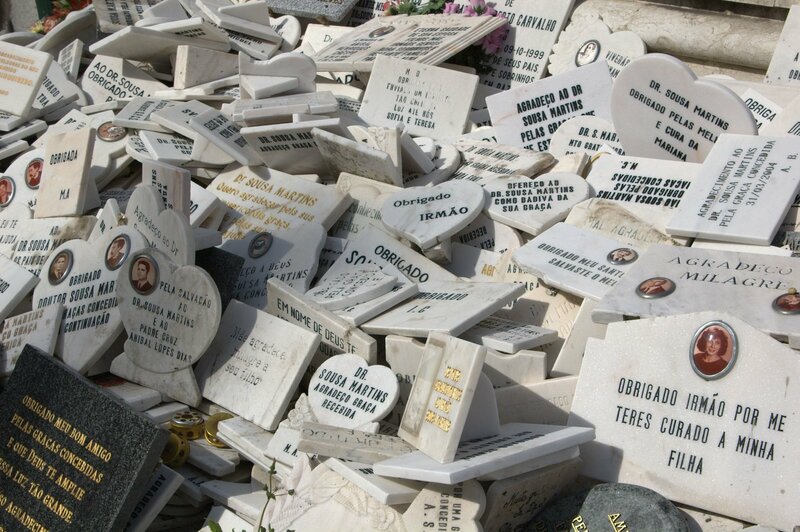 In some of the most “folk Catholic” places, particularly in Latino communal settings, it is very common to see statues of John Paul II and Mother Teresa a few feet from Santa Muerte love soaps or las Siete Potencias Africanas candles. 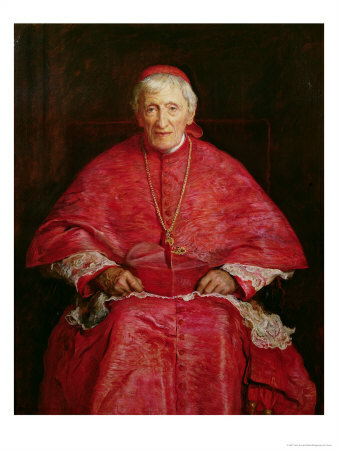 Being the Internet-literate Catholic that I am, I was thus a little fascinated by the whole idea of beatifying Cardinal Newman. I suppose I have to reveal my ex-Lefebvrist bias, and state that theologically I don’t trust canonizations in the last forty years. The streamlining of the process and the elimination of the devil’s advocate makes me feel that canonizations in the Church have become far too political (Escriva de Balaguer, I am looking in your direction.) But that distrust is a complicated one, for I know that there are a ton of traditional saints, like my beloved Saint Barbara or St. Expedite, who wouldn’t pass the test of a devil’s advocate today. David Mills, eat your friggin’ heart out! The source of this is a way cool blog. Folk saints, Lady Gaga, and paganism. One of the best web finds of the year. An interview of the director of a documentary on the shrine to la Difunta Correa in Argentina. I too have a fervor—a fever, in fact—for political inactivity. I want to be part of a movement that makes electoral politics so boring that rather than having term limits, we’ll need laws requiring politicians to serve their full term. I want to join a party that make politics and government work so dull that political journalists and elected officials dream of leaving their fields for the exciting worlds of actuarial science and telemarketing. I want to thrown in my lot with others who want to throw a wet blanket over politics and whose desire is to dampen the enthusiasm for all forms of political activity. I want to consort with citizens who are willing to arrest the ardor, dash the devotion, sap the spirit, and zap the zeal from anything that remotely resembles political enthusiasm. I want to create a new party, dedicated to the mastery of the art of anti-propaganda and committed to the conscientious devotion of alert inactivity. I consider myself to be profoundly a-political, yet with sensibility of a European-style social democrat. As an ex-Trotskyist, I am well aware of the tendency of my fellow ex-Trotskyists (Burnham, Irving Kristol, etc. ), to become right-wing hacks after leaving the movement. I have sought to avoid being an apologist for the capitalist leviathan without being under any illusions that the international working class shall be the human race. I still sing the Internationale to myself sometimes. I think it’s pretty catchy, especially if you can sing it in three languages. I suppose now I am a Platonic republican. I think one difference between Italy and Latin America is that Italy was more “clericalized” in its Catholicism than Latin America. On the one hand, the clergy had more supervision over what the people did, so the symbols that people employ even in expressing their “folk Catholicism” are the same as those of “clerical Catholicism”. On the other hand, people will employ those symbols in the exact same way that the Latin American, “un-clerical” Catholic does. 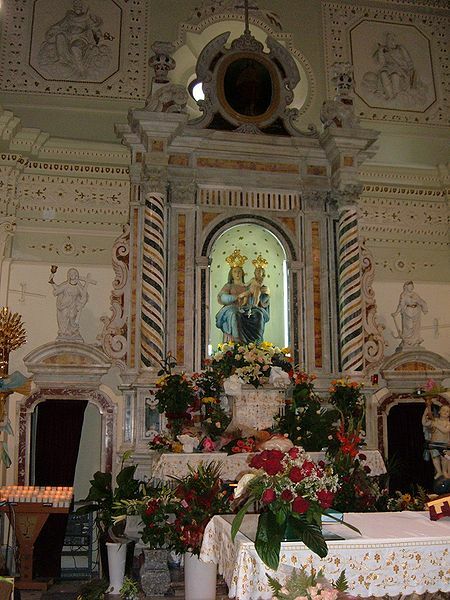 In this case, while mobsters in Mexico will pray to Jesus Malverde or Santa Muerte for success in their criminal endeavors, the Italian mobster will use an image of the Virgin Mary for the same purpose. Also, even such figures as St. Jude or St. Dismas will also be used for these less than Christian purposes. So the whole idea of a “folk saint” may itself be a construction, for even “approved” saints will be used for unapproved intentions.